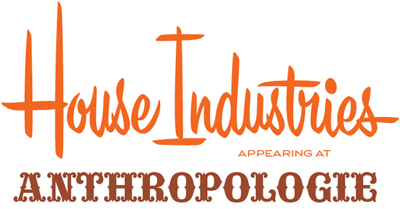 House Industries will be makin’ the holiday scene with Scissors & Spice at the Brinton Lakes Anthropologie in Glen Mills, PA this Sunday, December 18 from 12–3 PM. I’ll be on hand to letter your holiday cards, gift tags and whatnot as you down some delicious vegan baked goods and finish up your last minute shopping. Hope to see you there!